SOMETIMES IF YOU don’t give an inch, you’ll wind up in court. Angry American diners want to take a bite out of the Subway fast food chain over what they say are too short “Footlong” sandwiches. The bulging lunch bun is Subway’s signature offering. But ever since a keen-eyed Australian discovered earlier this month that his “Footlong” measured only 11 (28 cm), and not 12 inches (30.5 cm), the US-based global franchise has been on the back foot. In what appears to be the first related lawsuit, two New Jersey men filed a complaint on Tuesday in New Jersey, alleging that Subway deliberately and systematically shortens its sandwiches to 11 or 11.5 inches. The plaintiffs “submit that Subway’s conduct is an unconscionable business practice,” the suit alleges. The controversy, which Subway says is just the result of inconsistencies in applying corporate rules at some franchises, became a viral Internet sensation after the Australian expose. 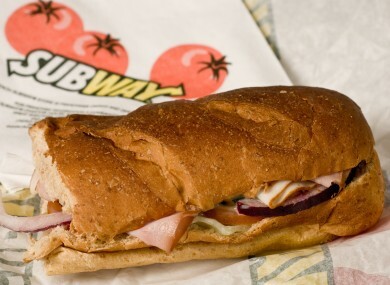 Email “Subway sandwich scandal inches into court”. Feedback on “Subway sandwich scandal inches into court”.